The British classic will be showing this Saturday, August 18th at 5:50PM, and then again on Thursday, August 30th at 8PM. RIO DE JANEIRO, BRAZIL – This Saturday, fans of cult British cinema are in for a treat as Lindsay Anderson’s Palme D’or winner ‘if…’ (‘se…’ in Portuguese) will be shown on the big screen at the Instituto Moreira Salles (Moreira Salles Institute) in Gávea. The film is a satirical portrayal of life in a traditional, upper-class British boarding school; it stars Malcolm McDowell as Mick Travis, photo internet reproduction. 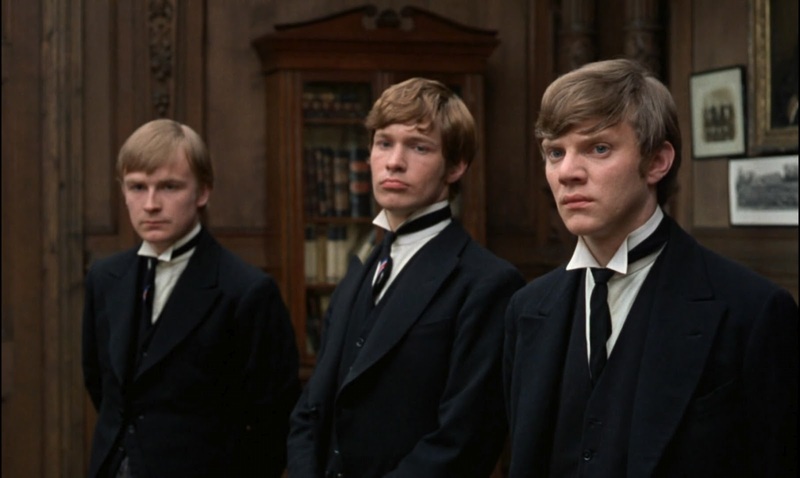 ‘if…’ is the work of maverick British filmmaker Lindsay Anderson, who is widely regarded as one of the leading British filmmakers of the British New Wave and Free Cinema Movement. Voted the twelfth greatest British film of the 20th century by the British Film Institute, it also picked up the Palme d’Or at the 1969 Cannes Film Festival, marking a high-point in the director’s career. The film also launched the career of its leading man, Malcolm McDowell, who would go on to star in Stanley Kubrick’s ‘A Clockwork Orange’ and Tinto Brass’s ‘Caligula’ among many other feature films, TV and theater appearances, becoming one of the most recognizable actors of his generation. Forming part of a trilogy (with 1973’s ‘O Lucky Man!’ and 1982’s ‘Britannica Hospital’ both starring McDowell as Mick Travis) the film portrays life in a tedious, sadistic and stuffy British boarding school. However, things take on a rebellious turn as Travis begins to foster an atmosphere of rebellion among some of his fellow students. As the action escalates, the gang steal a motorbike, drink vodka, and eventually commit an armed insurrection against the school’s authorities, using firearms and mortars they discover in a disused storeroom. Made during the 1968 student protests, the film was branded with an X certificate by the British Board of Film Classification, which helped to boost its appeal as a cult classic that conjures a spirit of youthful rebellion and anti-authoritarianism. Celebrating its fiftieth anniversary of release, ‘if…. remains one of cinema’s most unforgettable rebel yells.’ as quoted by the Criterion Collection. There will also be another chance to catch the film at the end of the month when it is being shown again on Thursday, August 30th. This is the perfect chance to visit the wonderful Instituto Moreira Salles in leafy Gávea. Attendees of the Documentary Film Festival held there in April now have a great excuse to return, as well as others who caught recent showings of British and American classics at Caixa Cultural and Shell Open Air.